Cricketer Cup – Quarter Final Success! What a sporting weekend! And we are not talking about Wimbledon, Lords, the Lions, athletics and the Anniversary Games, or even the Austrian Grand Prix, but rather the Old Bedfordians performance against the Marlborough Blues in the Cricketer Cup Competition on Sunday 9th July. 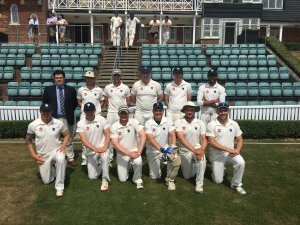 The Old Bedfordians made history on Sunday as they progressed to the semi-finals of the Cricketer Cup for the first time ever after a comprehensive 10 wicket win over Marlborough in a beautiful setting. Having won the toss and opted to bat the Marlborough top order was blown away by the OBs new ball attack of Mark Gibbs (93-98) (2-20) and Jack Goldberg (09-11) (3-16) as they reduced the home side to 24-5. The middle order offered slightly more resistance, but the OB spin trio of Ben Slawinski (09-16), Paddy McDuell (04-15) and Shiv Patel (04-15) never let them get away and the home side were bowled out for just 150 with Christian Davis (00-11) taking three excellent catches. The OBs wasted no time in setting about the total on an excellent batting pitch and quick outfield as James Kettleborough (00-11) and Will Aitkenhead (04-09) took 39 from the first three overs. They never looked back and some expansive stroke play from Kettleborough in particular saw them complete a comfortable 10 wicket win inside 19 overs with Kettleborough finishing 82 not out and Aitkenhead 39 not out. The OBs now face a trip to the south coast to take on the Old Eastbournians in the semi-final on Sunday 23 July and the winner will progress to the Final at Arundel on 6th August against either Malvern or Wellington. The semi-final will be played in Eastbourne on Sunday 23rd July with play commencing at 11.30am at the Memorial Ground. Please see here for a detailed map. 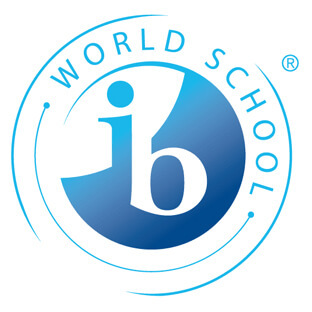 It is important to note for visitors that this ground is not on the same site as the main School campus.